Being in a two-goal deficit against a dominant rival in a playoff final is a hard place to be in, and a harder place to come back from. This weekend, the Thunderbirds beat those odds. 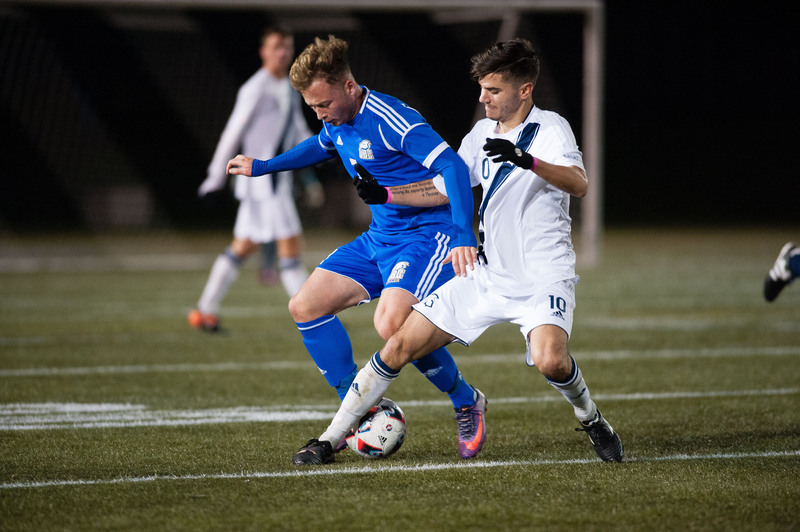 On Saturday, November 4, the UBC men's soccer team stunned the Trinity Western University Spartans (TWU) and roused their fans with a 3-2 overtime victory in the Canada West playoff final. 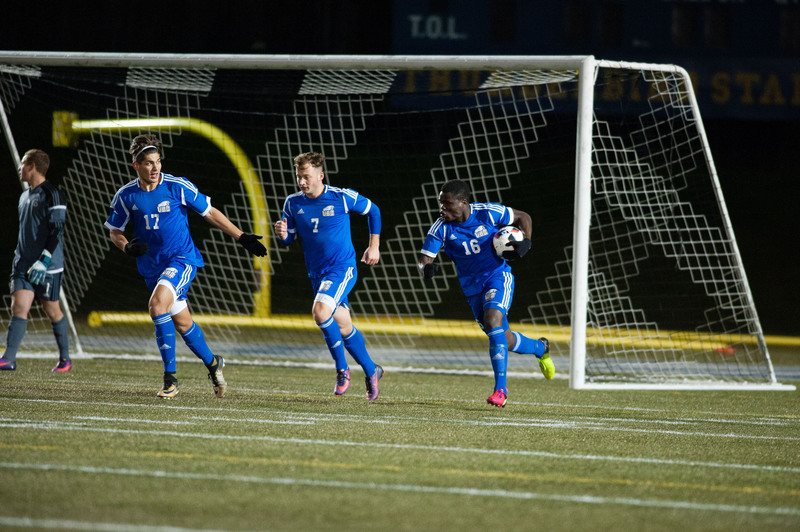 With the win, UBC earned a berth to the U Sports national championships. The first half started with many close opportunities for UBC, but a failure to connect in a lot of key moments meant that they came up short. Still, the ’Birds held their defensive line and bombarded the Spartans' goal with attacks. Things went wrong for the ’Birds as the first half drew to a close. In the 45th minute, a free kick from Spartans forward Leighton Johnson found teammate Vito Poletto in the UBC box. Poletto, unmarked, polished the strike off. Poletto returned the favour in the second half when he set up Johnson for a goal of his own in the 59th minute. 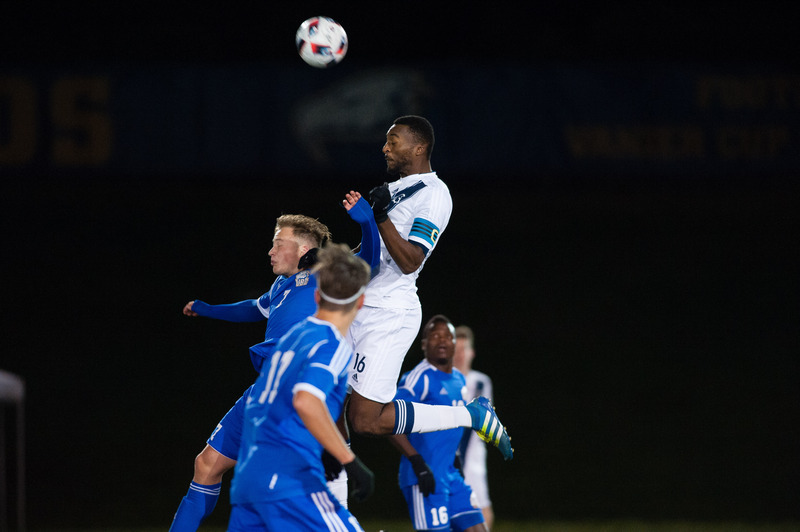 “[The players] were gutted, they were disappointed, to give up a goal, right before half … but we reminded them again, of the number of times that we’ve been down and come back,” said UBC head coach Mike Mosher. Despite the setback, the Thunderbirds remained calm, and kept attacking the Trinity Western goal. They were down but not out. The T-Birds found their groove later in the second half. In the 69th, UBC forward Zach Verhoven weaved between two Spartans defenders in the left corner of their half and let loose a cross into the box. UBC forward Kyle Sohi connected first-year forward Victory Shumbusho with the ball, and Shumbusho scored the T-Bird's first goal. Mosher gave some credit to two of his assistant coaches — David Henry and David Partridge — for the comeback. In the 80th, UBC defender Connor Guilherme scored the equalizer. He converted a superb cross from midfielder Kerman Pannu into a one-touch strike. The 'Birds were back in the game. With both teams tied at 90 minutes, the game went into overtime. Mosher believed that these extra minutes of play would favor his side a little more. The 'Birds had won the day before in a decisive 3-1 victory against the Thompson Rivers University Wolfpack while the Spartans had gone into a tiring overtime battle against the University of Alberta Golden Bears. In the 97th minute, the T-Birds took their first lead of the game. Guilherme scored a header off of a corner kick — his second goal of the match and the game winner. Another standout on the night was UBC goalkeeper Chad Bush, who kept the 'Birds lead intact in crucial moments. This was especially true in overtime when he saved a point-blank shot from the Spartan defender Caleb Johnson. For the rest of game, the Thunderbirds held their ground and defended hard until the final whistle. 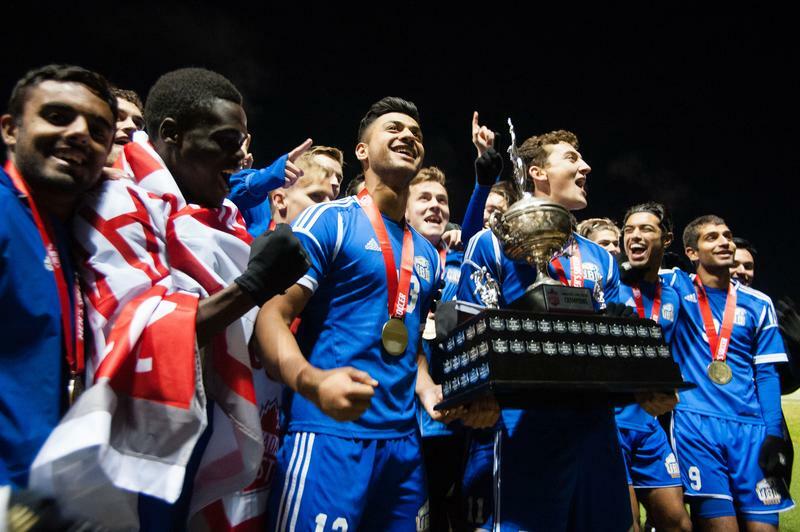 It paid off — when the whistle came, the 'Birds were the Canada West champions. “Every year, it seems like the tournament gets tougher and tougher. It’s going to be stiff competition… There’s going to be no easy games,” said Mosher.